We ain't doing things by halves this season and that's why bright tones are on our radar. 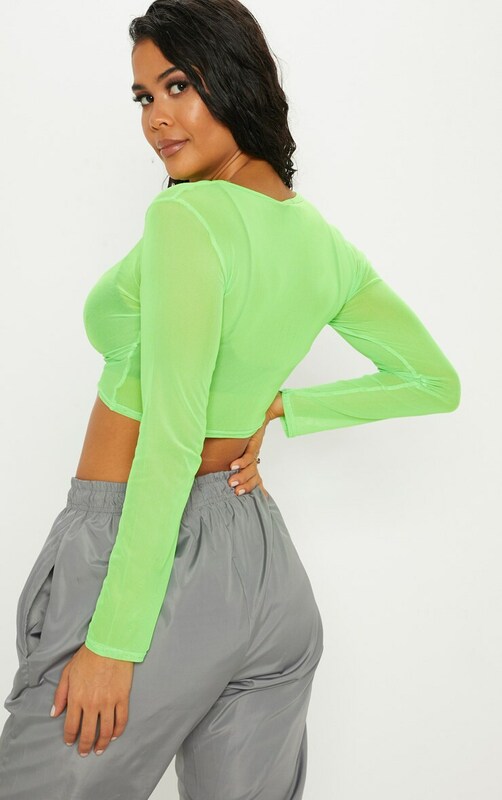 This top features a bright lime mesh fabric with a ruched front design and long sleeves, style it over a bralet and complete the look with some drawstring joggers. The shoes you choose to wear are based on the occasion you're attending doll, if it's a night out then style with heels. If you need a cool and casual vibe, style with lace-up boots or chunky kicks.